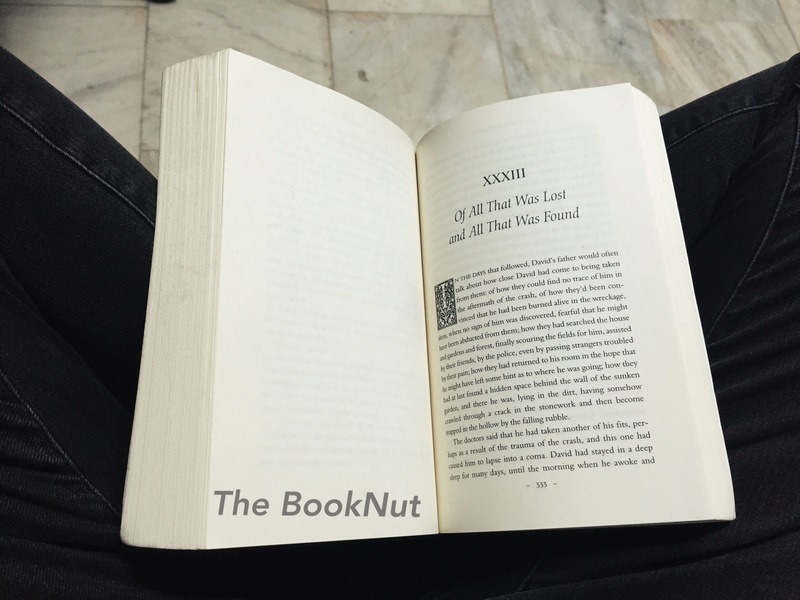 I came across The Book of Lost Things while browsing the recommended books section in Goodreads. The synopsis intrigued me and soon I was clicking it into my to-read list. Then lo and behold a few weeks after, while scouring the bookstore I came across a print copy of it that’s at a discounted price. I immediately snagged the book no questions asked. 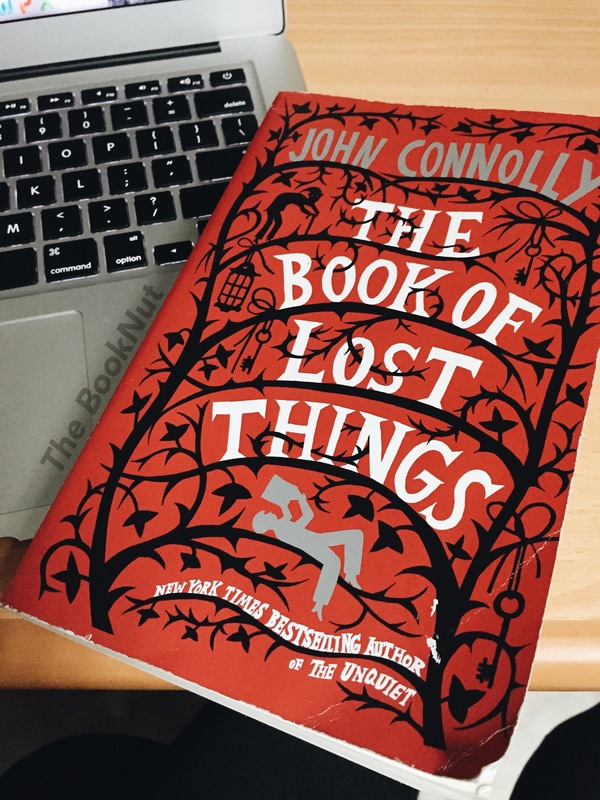 John Connolly’s The Book of Lost Things is a dark tale I’ve been told. At first it didn’t seem like it, I was getting more of realism than a dark tale, then a few chapters down I got their point. I may be scared of horror books but I do not cower from dark fantasy reads that easily. Besides, there was a real art as to how John Connolly narrated the adventures of young David which had me fascinated and caught up with it all. It starts with a story about a boy named David, who is coping with the loss of his mother and adjusting to the struggles of the new life that his father has found them. When he remarried and welcomed a new child into the fold they found themselves moving into the country to avoid the war that was happening in the city. It was clear that, in the beginning, David was unhappy with his father’s ease in moving on, seeming to forget David’s mother and creating a new life altogether. He retreated to the comfort of books, explored the vast gardens within their property and he was mostly left to his own devices, as he was not really seeing eye to eye with his stepmother Rose. But looks like these drastic changes in David’s life triggered something in him as he suffered from blackouts and episodes. Also, books started whispering and talking when he is around. His dreams were plagued by an image of a Crooked Man, and he may even have heard of a woman’s voice, a voice which resembles that of his mother. At the risk of sounding crazy and scared that he will be taken away from his family, he kept it all to himself. Until one huge argument with his stepmother and eventually a fight with his father became the defining moment when the door of opportunity opened. A passageway to an alternate reality where all of David’s nightmare and imagination will come to life. Into the dark forest, David finds himself battling with werewolves and Loups, outsmarting trolls and forging friendships with a Woodsman and seven dwarfs. He is in a middle of a grim fantasy tale and reality, where death is as real as him finding an acquaintance with Snowhite. David faces many challenges in his hopes of finding his way home and maybe seeing if what he heard was really his mother’s cries for help. Or if maybe it was The Crooked Man playing his dirty hand of manipulation. This is the first that I’ve read of John Connolly, and I’m clearly enamored with his storytelling and how he was able to weave familiar fairy tales and childhood stories in one coming of age masterpiece. The Book of Lost Things is a clear tale of how a child copes with a loss and on how he deals with circumstances presented to him, like growing up. The story relates to its readers on how at some point in time we lose our naivety and innocence and how on a few or many occasions, life forces us to grow and make important decisions. These decisions most often than not were meant to challenge us into choosing between the easy way out or the hard road, light versus dark, good against evil. I love how Connolly wrote David’s character to be just the right amount of curious innocence but still have the sense of reality which keeps him grounded. I was really moved by this book after I finished reading it. Especially the last chapter, I think it’s where it all made sense and everything fell into place. It told more of the life that David had lived after his final battle with The Crooked Man. His sacrifices and consequences he had to face after making his decision. John Connolly is master story-teller, he was able to reinvent classic tales into his own and making them speak the story he wanted them to tell. I would definitely look into more of his works and I look forward to being enchanted once more. Next Post The Martian: Of Matt Damon, disco music and yes plenty of potatoes.